Matt chats with Rare executive producer Joe Neate about upcoming pirate adventure Sea of Thieves. Sea of Thieves is a pirate-themed cooperative action-adventure played from a first-person perspective. A shared world title, it has players seeking treasure, solving riddles, firing themselves out of cannons, drinking rum, and generally eye-patching it up in a cartoonish and whimsical world. The game features cross-platform play between PC and Xbox One, and those with an Xbox One X get native 4K, hi-res shadows, and Dolby Atmos. This much is known. 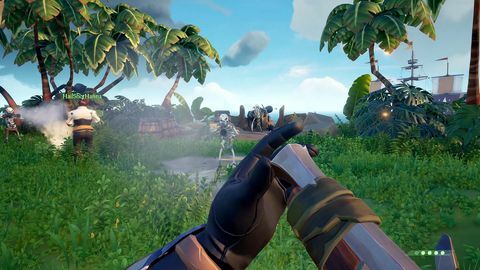 According to Rare, the goal for players in Sea of Thieves is "to become a pirate legend". Players can achieve that how they want – "we want to meet a wide range of player motivations", Rare executive producer Joe Neate told me on the phone from PAX Aus last month. "It's going to be the pirate game players have always wanted," he added. "All those things you'd expect to be in a pirate game we really wanna deliver… Every single time you play, the adventure is different, and you're always going to have a memorable story to share." Joe promised a fun, social, hilarious time. Finer details are lacking. 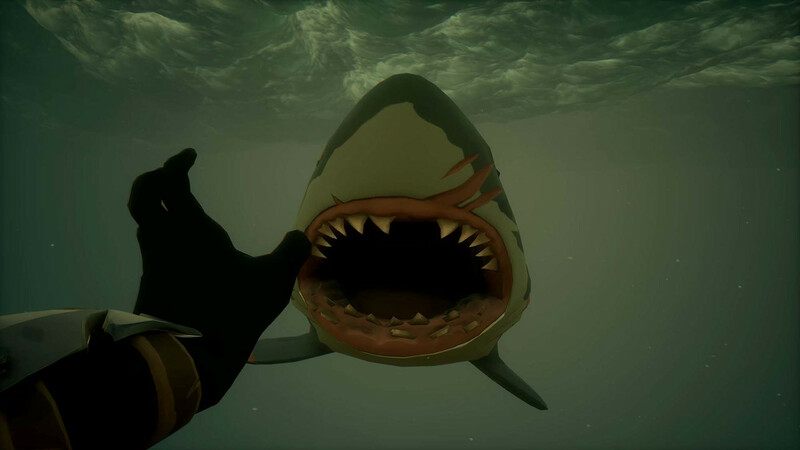 I had the misfortune of catching Neate about a month before Rare plans to unveil a fuller vision for Sea of Thieves, so I was only able to glean the smallest of details from our 30 minute chat. But not everyone is in my position. Rare, which is returning to "core" games after a decade in the motion control Kinect Sports wilderness, is running an insider program for its upcoming sea shanty. Early access alpha testing began in December last year with 1000 players, and now 140,000 wannabe peg-legs are tooling around in-game, and another group of similar number are queued up outside the ride, their faces pressed up against its opaque glass walls. All will gain entry this year though, and crucially, so will you if you sign up. "I think it has put us into a really strong positon leading into launch," said Neate. Player feedback has shaped the game to an extent already, but so has player behaviour. Rare's aim is to foster a welcoming community, but it understands how tricky this can be. "We have designs in place to get players to behave in the right way in the social environment, and cooperatively working on things together as a crew," said Neate. "But you have to test those things in the real world." Justice for griefers and harrassers is a topic very close to the studio's heart. "Our goal and ambition is to make one of the most fun and welcoming multiplayer games ever," said Neate. To facilitate this, all rewards are shared across a crew so there's no point trying to rip off your mates, and the game's mechanics also encourage teamwork. Raising anchors and moving sails is faster when you work together, for example. In a nice touch, there's non-verbal communication available via context-sensitive commands, and these are automatically translated to your language. There's also a brig on every ship, and a voting system that can see a crew throw annoying folks in there. To leave the brig, you have to convince the crew you are sorry, but thanks to a mute function, said crew might be deaf to your cries. In that case, your only option is to remove yourself from the game. "In some multiplayer games it's almost a badge of honour to get kicked out because of the way you're behaving, so we're changing the psychology of that, forcing players to admit defeat and quit themselves," said Neate. In alpha tests, the collision of players and player goals is what has made the game special, Neate said. However, it's not a PvP free-for-all. Instead, the game's servers ensure you have "the right frequency of encounters" in any given session. "We want a balance between exploration and player encounters," said Neate. "That moment when you see another set of sails on the horizon should be a magical moment." He compares the multiplayer system to that of thatgamecompany's hit Journey. The horizon isn't infinite: instead, fog barriers that encircle the game's "fantastical, Bermuda Triangle-esque" play space will prevent players circumnavigating whatever world it exists on. It's a large play space Rare wants to further expand beyond launch early next year, and these days that can only mean one thing: loot boxes. Although nothing has been announced, it seems clear they will be in Sea of Thieves to prop up its game-as-service ambitions (and hey, at least they are thematically appropriate). Neate said there has been much discussion of the monetisation issue at the studio. "I feel really good about our business plans and how player centric they are," he said. "We wanna support Sea of Thieves for as long as possible."